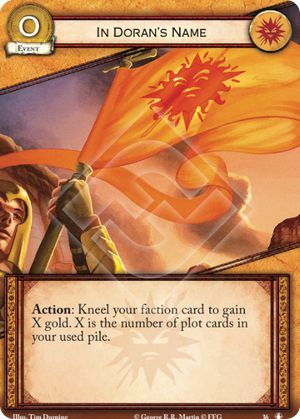 Action: Kneel your faction card to gain X gold. X is the number of plot cards in your used pile. The Road to Winterfell #36.